Anti-Zionists will often accuse Israel of ethnic cleansing. Ethnic cleansing or genocide is the intentional organized mass murder to eradicate a people group. The Armenian Genocide and the Holocaust both qualify as ethnic cleansings. In 1947 there were about 1.2 MM Arabs in British Mandate Palestine. Today, there are about 6 MM Arabs in the whole land, including 1.8 MM in Israel alone. There are more Arabs in Israel today than before 1947. This is the opposite of ethnic cleansing. Incidentally, there are still less Jewish people in 2019 than there were prior to the Holocaust. Zionism IS NOT ethnic cleansing! 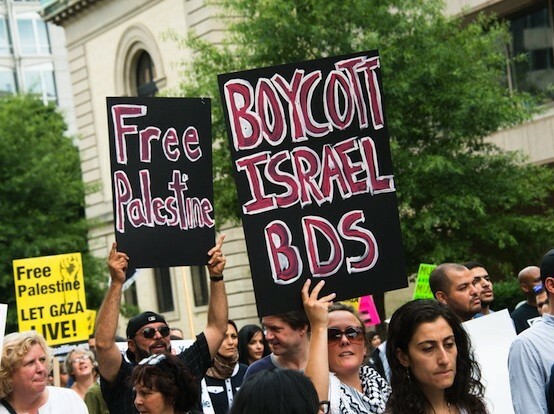 Anti-Zionists will also accuse Israel of being an Apartheid State. Apartheid was South Africa’s way of keeping blacks and whites separated, and as such, it forbade blacks to eat in white restaurants or cafes, attend white schools or universities, be treated in white hospitals, live in white neighborhoods and serve in the white government. Israeli Arabs are full citizens who do not experience any of the restrictions that were known to South Africa, they even serve in the Knesset (Israeli Parliament.). 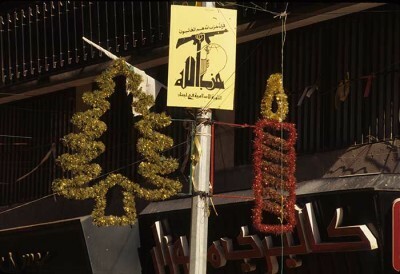 The only difference is with citizens of Gaza and the West Bank, but THEY do not want to be Israeli citizens. Zionism IS NOT Apartheid! Historically, we must go back to the Haskalah, or Jewish enlightenment that started in the late 1700s. The Jewish Maskilim “Enlightened Ones” led an intellectual movement promoting liberalism and freedom of thought. The hope was the emancipation of European Jews and equality in the various countries where they lived. It failed! The 1880s saw the beginning of the Russian Pogroms (government-sponsored riots) against Eastern European Jews. Various Aliyot or waves of immigration started to take place from Europe to the Land that was then still called Palestine. But anti-Semitism didn’t stop at Eastern Europe. In 1894, French Captain Alfred Dreyfus was falsely accused of treason, stripped of his rank, imprisoned on Devil’s Island, and eventually vindicated. The Austrian journalist, Theodor Herzl covered the trial in Paris and became rapidly convinced that Dreyfus had been framed and that Jews had no future in Europe. 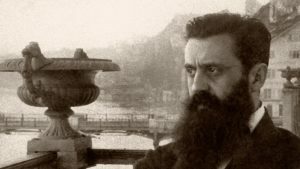 Two years later he published “Der Judenstaadt.” In 1897, at the 1st Zionist Congress in Basel, Switzerland, Herzl declared “At Basel, I founded the Jewish State…Perhaps in five years, certainly in fifty, everyone will know it.” Incidentally, 1897 plus 50 takes us to 1947 which is when the United Nations voted for the partition of British Mandate Palestine, leading to the 1948 birth of modern Israel. The fascinating birth and growth of Zionism couldn’t have happened without contributions by key figures such as Eliezer Ben Yehuda who singlehandedly developed modern Hebrew from the liturgical tongue of the Scriptures. Chaim Weizmann was also instrumental in helping WW1 efforts and became close to British officials which led to the pivotal moment in Jewish history, the 1917 Balfour Declaration, telling the world that Jews had a right to their ancestral homeland. It was followed in 1920 by the San Remo Conference where 53 out of 61 countries of the League of Nations gave the rights to “Palestine” to the Jews and established an international legal precedent. Before long, the modern State of Israel was born on May 14, 1948, and since that day, it has been at war with its neighbors. 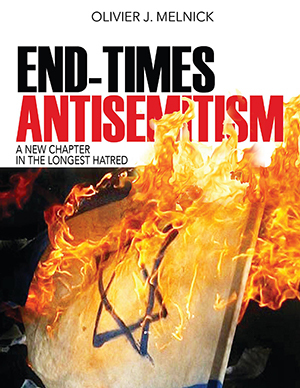 Simply put, anti-Zionism IS anti-Semitism repackaged. From the biblical record, it can easily be argued that God Himself was the first Zionist, but He also doesn’t want for anybody to perish, and He certainly has the same love and compassion for Jews and Arabs, and so should we. Being a Zionist doesn’t mean that one is a racist or a colonizer. Not historically, and certainly not biblically. Being a Zionist doesn’t mean that one is anti-Palestinian but sadly, the opposite is seldom true! Holocaust Remembrance Day is Everyday! Every year, On January 27, the whole world commemorates the horrors of the Holocaust by observing International Holocaust Remembrance Day. This anniversary was set-up by the United Nations and is different from the yearly Yom HaShoah (Day of the Catastrophe) that takes place in Israel in the spring. We live at a time of history when the remaining survivors of the Holocaust are in their late eighties and older, and their number is dwindling down. Soon after World War Two, the “NEVER AGAIN” motto arose and has been the on-going creed for those who want the Holocaust to be remembered. In 2018, the World Jewish Congress initiated a Hashtag campaign asking people to post photos and videos of themselves on all social networks with the hashtag #WeRemember. They are repeating the same campaign in 2019. While the concept is commendable since the memory of the Holocaust must be preserved at any cost, I fear that it might also create a certain shallowness that could diminish the weight of that memory. Many people post pictures of themselves with a sign showing the hashtag, and they get a feeling of righteous indignation against hatred. They feel like they are part of a broad community of people holding virtual hands to speak up against the Holocaust and antisemitism, and in a small way, they are, but unfortunately and for most, the remembrance dissipates soon after. We live in a new world where we communicate with few words, symbols and emojis. Texting is the main way of communication between people. When it comes to communication in the 21st Century, we want it now, we want it fast and we want it short…very short! 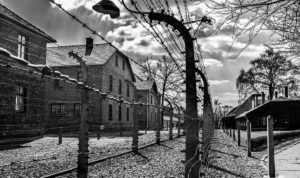 Listen to a Holocaust survivor: This is a very effective way to learn about the event from a first-hand witness. The challenge is that in 2019, their number is exponentially reducing by virtue of their age. Most of today’s survivors would have had to be young teenagers or younger during the Holocaust which took place over 75 years ago. If you know one or are invited to hear one, I recommend you seize the moment. Additionally, the staff at Shadows of Shoah brings many testimonies from survivors on video, and by virtue of that medium, renders their unique stories eternal. The Steven Spielberg Shoah Foundation also has over 50,000 video testimonies of survivors, one of them being my dad Georges Melnick. Visit a Death Camp: In November of 2010, I traveled to Krakow, Poland to visit the remains of Auschwitz-Birkenau where my maternal Grandfather Maurice Weinzveig was taken by the Gestapo, from Paris in the Summer of 1942. The Death Camps are some eerie monuments left over from one of the darkest periods of mankind’s history. If at all possible, everybody, and most definitely every Christian should walk through one of them once in their lifetime. Visit a Holocaust Memorial Museum: The biggest and most elaborate of them–Yad Vashem–is located in Jerusalem. I make a point of taking the people there each time I lead a tour to Israel. It is a must! It is a difficult visit punctuated by visual and audio markers that will undoubtedly leave an impression on you for many years, well beyond the posting of any hashtag, and that is what the world needs. There are other Holocaust Memorials, several in the United States. The United States Holocaust Memorial Museum in Washington D.C. or the Simon Wiesenthal Center/Museum of Tolerance in Los Angeles are just two of them. The list is much longer and warrants several different visits if possible. Read an account of the Holocaust: There is a tremendous collection of Holocaust literature in many languages. From survivors’ accounts to biographies, historical accounts and even poems. Every human being should read the short but life-altering account of Elie Wiesel’s time at Auschwitz-Birkenau with his father when he was only 15. As told in his autobiography Night, his story of resilience and survival against all odds is very dark. A detailed and accurate account of the Holocaust can be found in Lucy Dawidowicz The War Against the Jews or in The destruction of the European Jews by Raul Hilberg. Historians and scholars alike often speak of pre-Holocaust and post-Holocaust Jewish history, and this for a good reason; the Holocaust is the most important marker on the modern timeline of Jewish history. Speaking of it for one day is a good habit for a commemoration of the event, but letting its reality inhabit our memories will help us beyond the ephemerous impact of a hashtag. 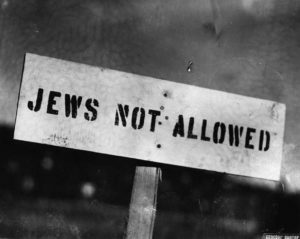 The Holocaust is tightly weaved into the fabric of Jewish history, and reducing it to a hashtag could rip our Jewish heritage beyond repair, not to mention pave the way to completely forget it and even deny it ever happened. We have to do more, and we have to do it more often! It is our duty as human beings to remember the Holocaust, share its history with the future generations and speak-up against those who deny that it ever took place. The lessons learned from the Holocaust say much about evil and human nature. We need to be reminded every day about the possibility of such a catastrophe to re-occur. Yet, in the midst of all this, our God is all powerful and all loving. And He lifted them and carried them all the days of old.